Join us by the banks of the Wye for a great day out. 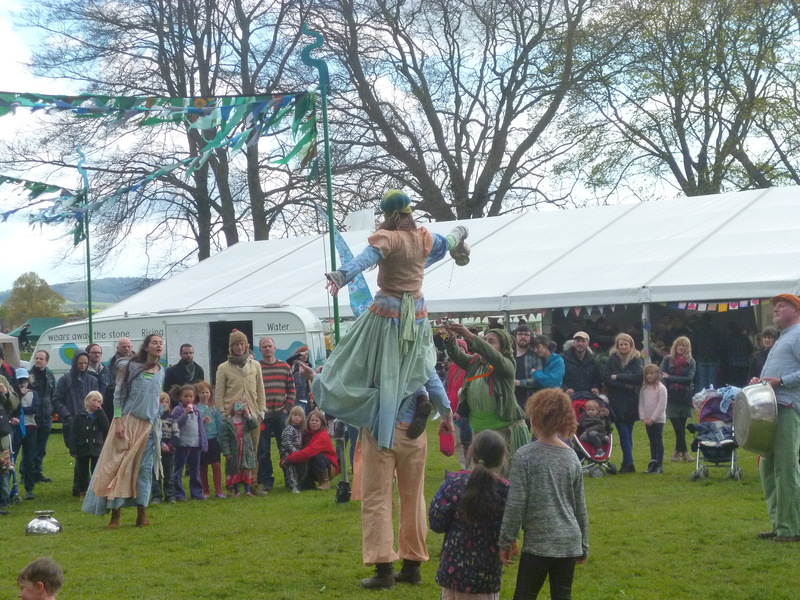 Alongside the Wye Serai, with the Samovar and the Water Ones up to their usual slippery tricks, there are theatre, games, music, food and a festival bar. As evening approaches, fire-torch bearers and musicians converge at the river’s edge where choirs and musicians enchant the river as everyone joins the Water Ones to bless the waters of the Wye. 8.30pm Torchlight Procession Procession with Festival Band and the George Choir. safety talk. Be ready in the Sloop Inn garden for procession by 8:00pm to commence at 8:30pm. The Wye Serai will be open all day; The Caravan of Fact & Wonder, The Caravan of Hydrosities & Curiosities and The Caravan of Myths & Legends, as well as the A&E Lab Technicians. The programme or times may be subject to change. The travelling Wye Serai gathers for the final time for a fun filled afternoon of stalls and activities celebrating water stories and the final servings from the Samovar. There is plenty of food and drink and a Beast Feast. As dusk approaches the Festival Choir heralds the lighting of a river fire sculpture, before finally the Water Ones seep away on their global journey. 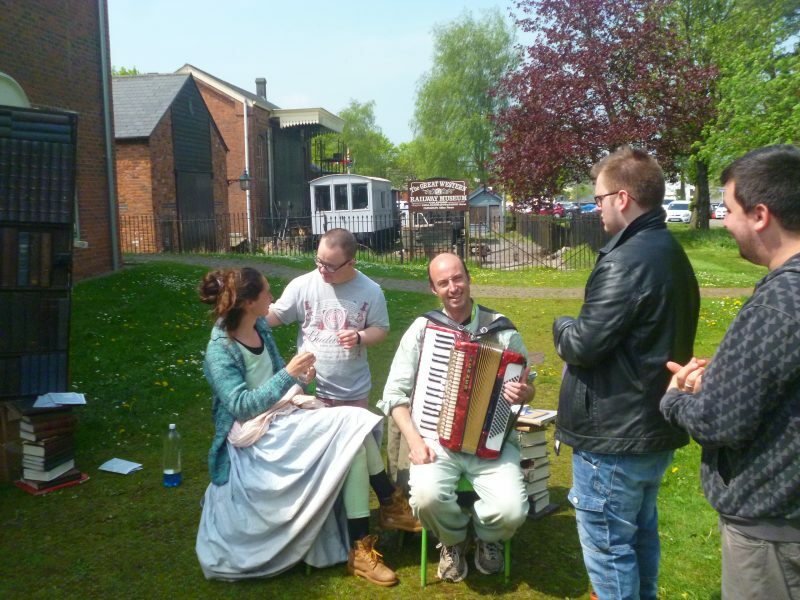 The Wye Serai – the main performance and activity space created around three intriguing caravns, of ‘Curiosities & Hydrosities’, ‘Fact & Wonder’ and ‘Myths & Legends’, with a ‘River A&E Laboratory’ and a great Samovar brewing up tea. Add the Water Ones wrangling in a comic chaos of pouring and spilling, singing and dacncing, bringing the rivers and waters of the world to you.